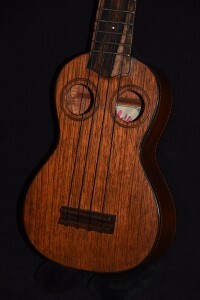 The Mele Jumbo Tenor ukulele is conceived to provide most of the benefits of both the tenor and baritone ukulele. 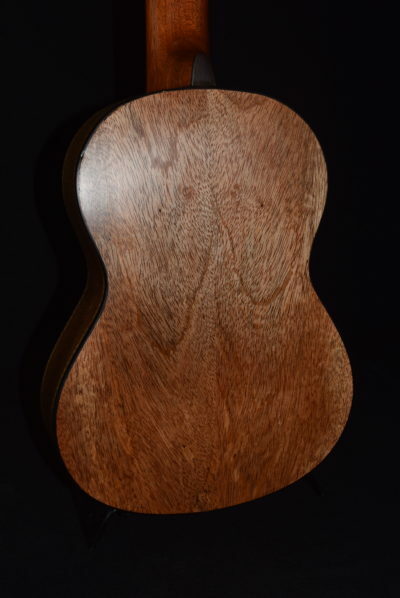 Many of the finest professional ukulele players we know use a baritone or a special custom-built oversized tenor in a low-G (GCEA) tenor tuning. 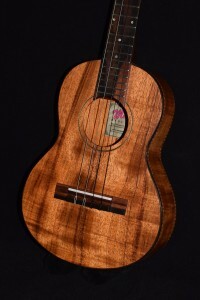 Others, like Lyle Ritz, use a tenor tuned to baritone pitch. 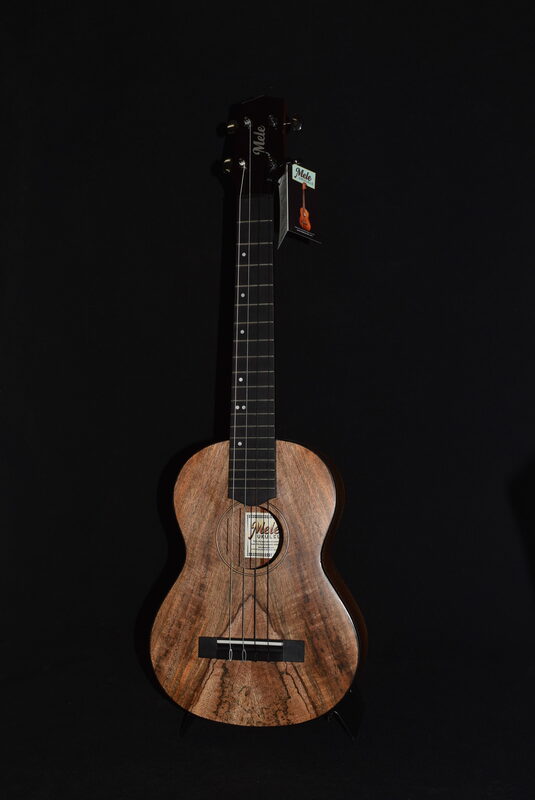 (DGBE) Here is a specially designed instrument with a 19″ scale length. (Mele tenors are 17″ and our baritones just over 20″.) 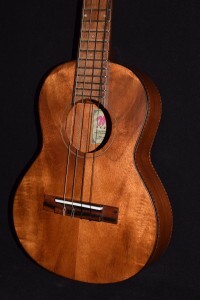 It can be strung as a tenor OR a bari, and sounds fantastic either way! 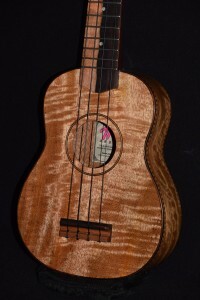 The oversized tenor body provides a bigger, warmer tone than any tenor we’ve heard, and the longer scale makes for great punch and spot-on intonation. 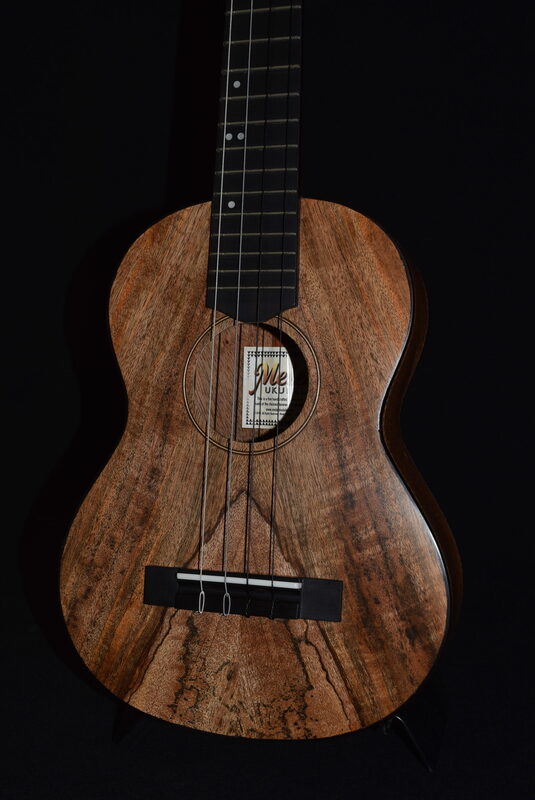 This spalted mango Mele 4-string jumbo tenor #JSMa ukulele is an extremely popular model, for good reason; It looks AND sounds beautiful! 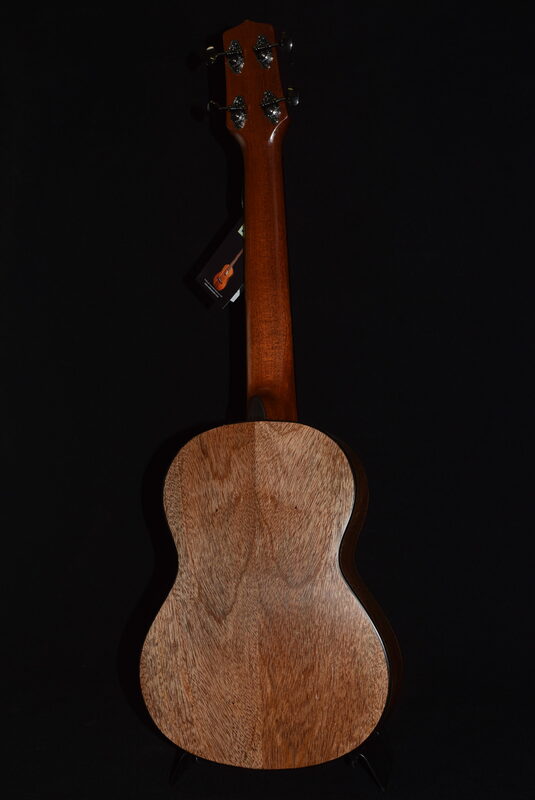 Top, back and sides are cut from genuine SOLID hawaii mango wood.